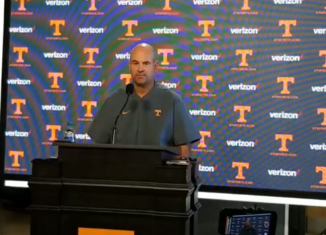 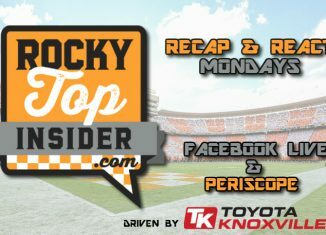 Tennessee head coach Jeremy Pruitt spoke to the media on Monday about the South Carolina game, Jarrett Guarantano, Charlotte, and more. 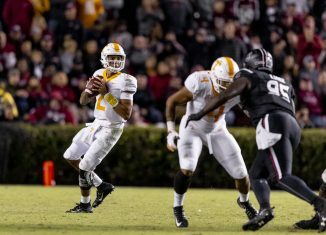 Jeremy Pruitt said QB Jarrett Guarantano "showed a lot of courage" against South Carolina and explained why he didn't play Keller Chryst in the game. 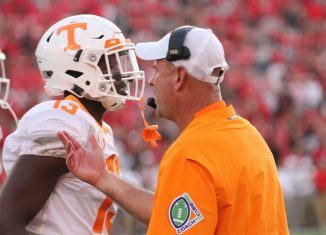 Tennessee head coach Jeremy Pruitt weighed in on a controversial no-call from Saturday's game, and he said it was "obviously" a fumble at the goal line. 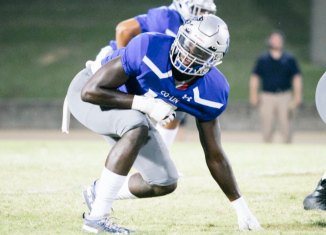 Tennessee's coaching staff sent out an offer to Jordan Davis, an Alabama commit who plays in the JUCO ranks now after playing in Memphis in high school.